Employee motivation is a gloriously intangible concept that employers have been struggling with for decades. Conventional wisdom dictates that a happy and healthy employee is a productive employee, but not all of them will respond to the same incentives and the same tactics. However, employee motivation doesn’t need to cost you much and it doesn’t take as much effort as you might think. The tips below should set you off on a decent start. Be available to your employees and be someone they ‘know’ as more than just an authority figure. It’s easy to sit back and let your employees get on with it; rewarding employees when they perform above and beyond your expectations and chastising them when they don’t. However, you’ll find it far more effective to actually spend some time on the ground floor communicating with your staff face-to-face and give them honest and direct feedback when it feels relevant. This will make them feel more valued and should encourage them to perform better for you as a result. 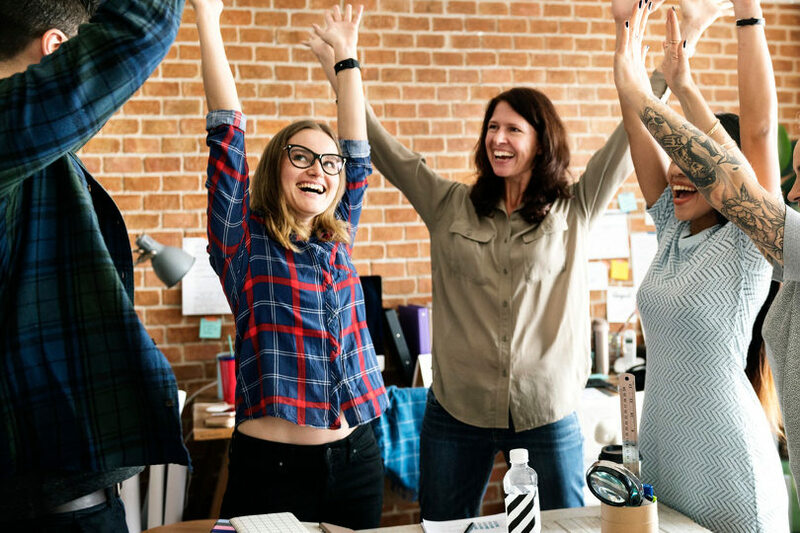 Cultivating a company culture that your employees are actively enthusiastic about could be the crucial ingredient to motivating better performance. This means creating an office space that’s not only aesthetically pleasing but comfortable, well-lit and functional. Adding a few more personal touches and giving employees a decent break room (perhaps stocked with snacks and things to keep them entertained and help them unwind between meetings) is a great start to implementing a pleasant company culture. These incentives don’t necessarily need to be financial and they don’t necessarily need to cost you a fortune either. You can incentivise good performance by rewarding it with days off (or days out with the company), vouchers, free lunches and preferred parking spaces. You could even think outside the box by offering financial help to employees looking to buy public transport passes to engender a greater environmentally conscious atmosphere. You could even offer to pay towards a bike or a scooter – such as those from Skate Hut, offering a number of commuter scooters that would ideally suit city-based workers. This, hopefully, will result in healthier and hopefully more punctual employees. Lead by example and be the kind of person at work that you want your employees to not only look up to but the kind of person whose personality and ideals they wish to embody. This involves operating with a certain degree of transparency and remaining positive at all times. It also means making sure you’re the kind of person who is eager to ask their employees how they are doing, what they value and what they want, as this good nature will hopefully be passed on to the rest of the staff. Finally, make a considered effort to recognise employee achievements. Everybody wants recognition when they do a good job. This goes beyond simple feedback, as it’s less about just recognising a job well done and more about the principle. Recognising achievement also means making opportunities for advancement clear as if your employees know they are working towards something, they are far more likely to perform better for you.